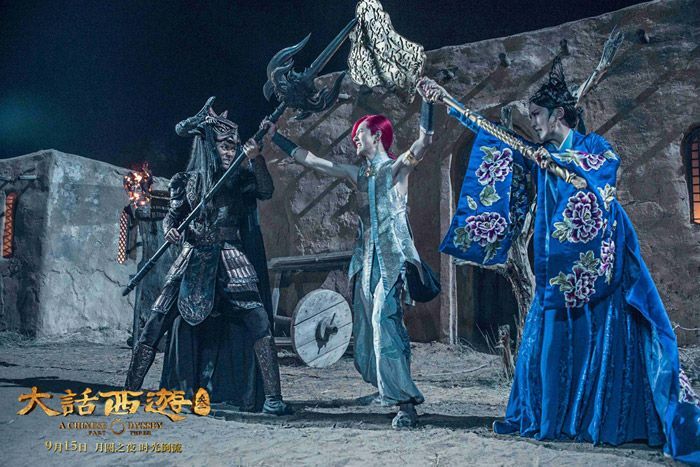 =======> ♦ Trailer #3 for Chinese Odyssey 3 (大话西游3) with Tang Yan, Han Geng, and Karen Mok. 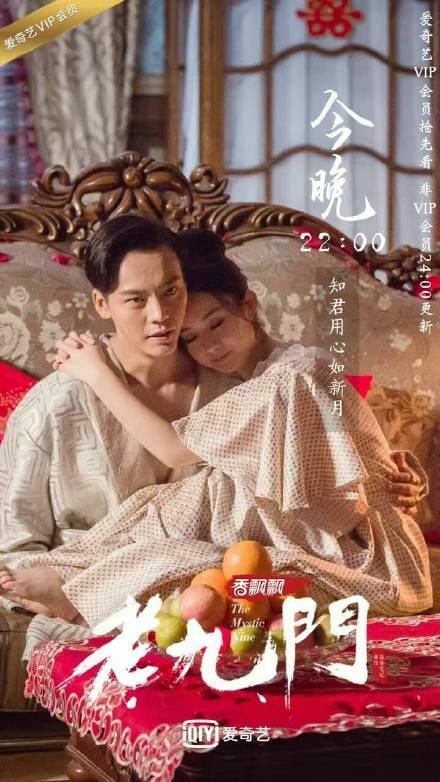 =======> ♦ More heart-breaking trailers and stills for Crying Out In Love (在世界中心呼唤爱) with Oho Ou Hao, Zhang Hui Wen, Andy Yang Zi. Out in theaters on August 26th. 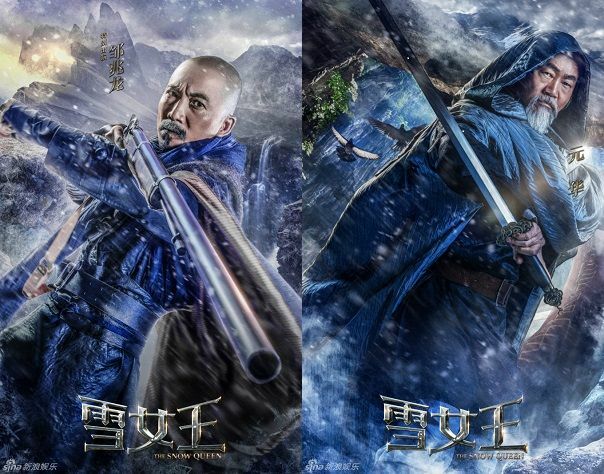 =======> ♦ Sparrow (麻雀) reveals more fiery posters and quick trailers. Release date: September 5th. 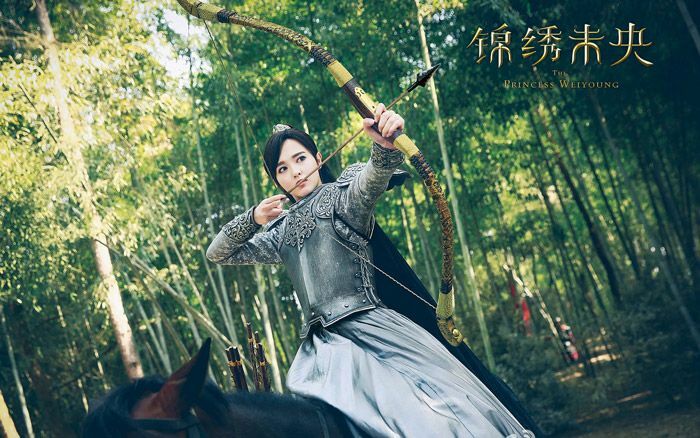 =======> ♦ Tang Yan picks up bows and arrows fro Princess Wei Young (锦绣未央). 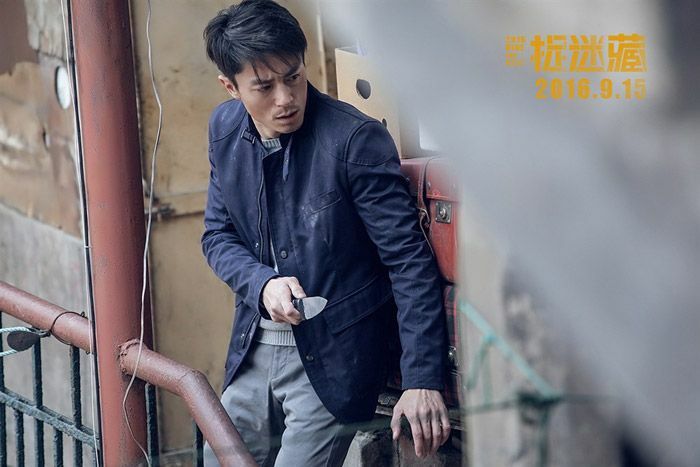 =======> ♦ Wallace Huo‘s movie, Hide and Seek (捉迷藏), drops new promos with Qin Hai Lu and Wan Qian! The story follows clean freaked hero trying to locate his brother’s whereabouts and finding himself the object of the same mysterious symbol all over his brother’s apartment. Out in theaters on September 15th. 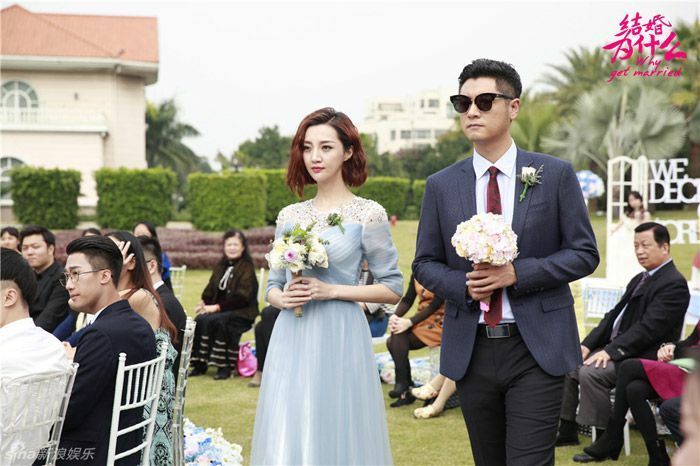 =======> ♦ Ron Ng‘s new modern, Why Get Married (结婚为什么) with Ren Zhong and Yao Di is airing right now. 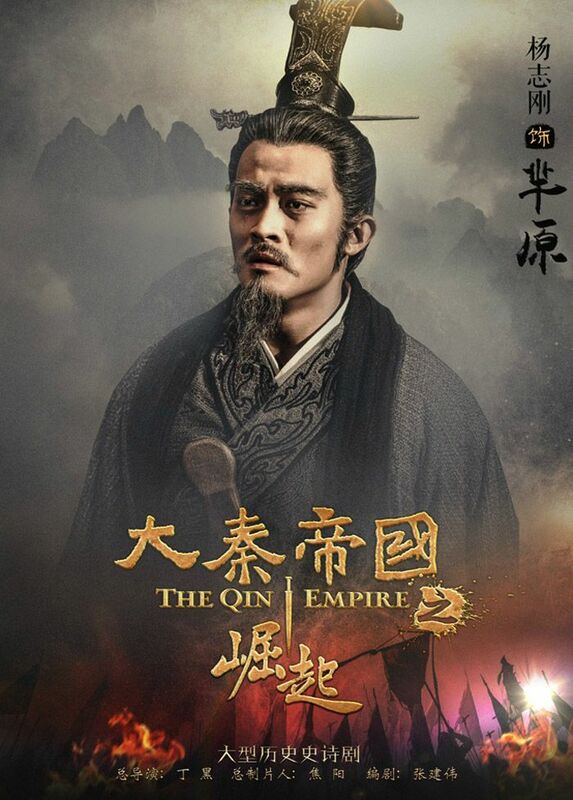 =======> ♦ Trailer, themesong, and stills for The Qin Empire 3 (大秦帝国之崛起) adapted from Sun Hao Hui’s novel, Qin Empire, starring Ning Jing and Zhang Bo, following the story of First Emperor of Qin, Qin Shi Huang, and Empress Xuan of Qin. 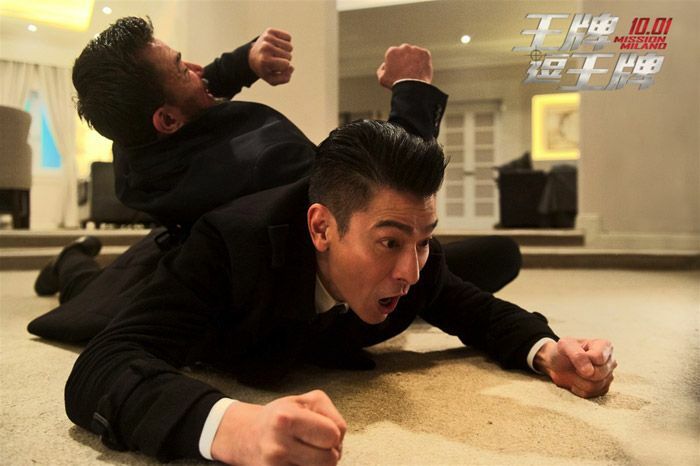 =======> ♦ Andy Lau and Huang Xiao Ming in new action comedy movie, Mission Milano (王牌逗王牌) with Wong Cho Lam and Nana Ou Yang, directed by Hong Kong director Wong Jing. 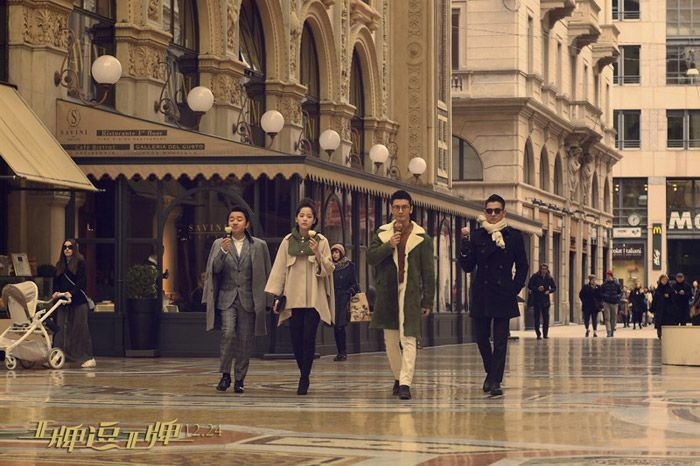 The synopsis revolves around a wealthy entrepreneur (HXM) who goes undercover to protect a new invention, which has the potential to end famine, from falling into the wrong hands. 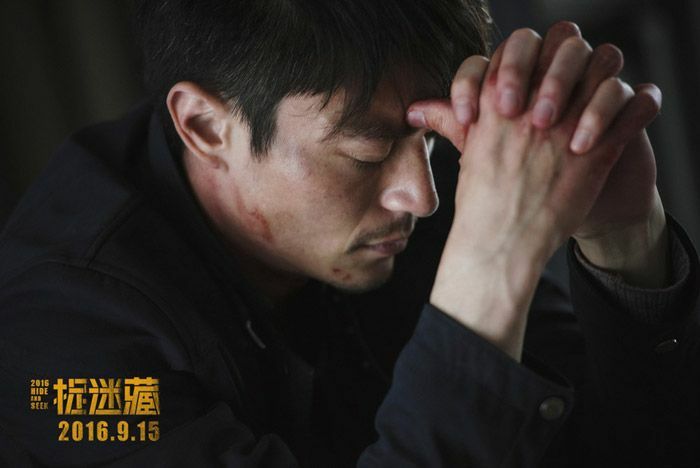 Andy Lau plays an Interpol inspector who is sent to help him. Hitting theaters on October 1st. 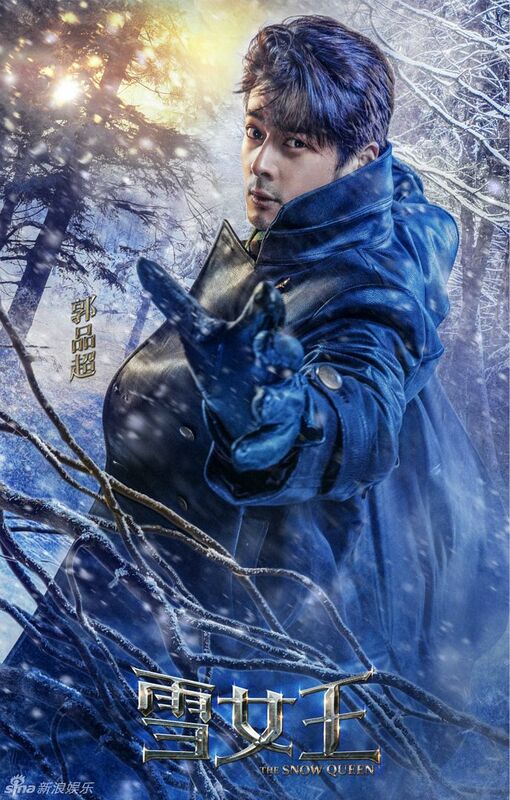 =======> ♦ New Trailer for Love Express (爱情也包邮) with Joo Won, Deng Jia Jia, and Qiao Zhen Yu. 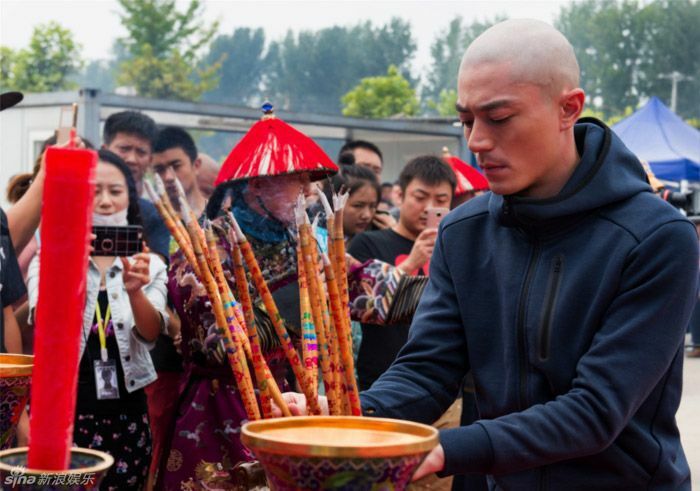 =======> ♦ Wallace Huo caresses palace maid and throws tantrum in latest pictures for Ru Yi’s Royal Love In The Palace. 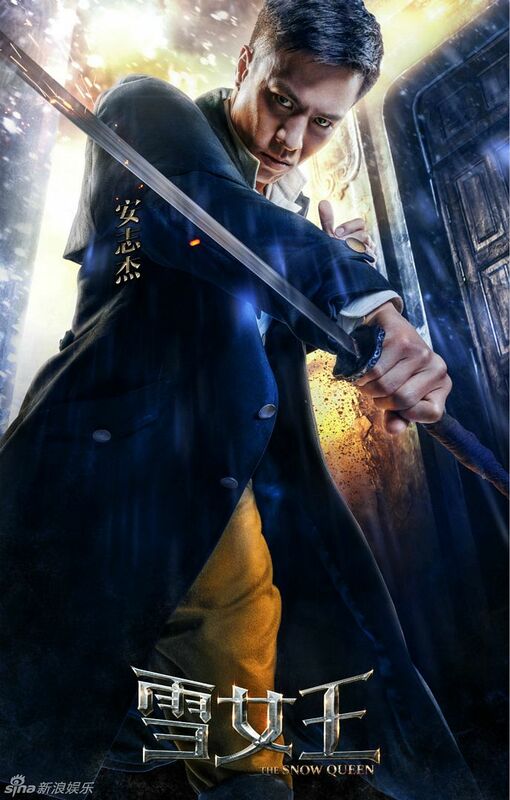 It is said that his character is the most hated character from the novel. LOL. 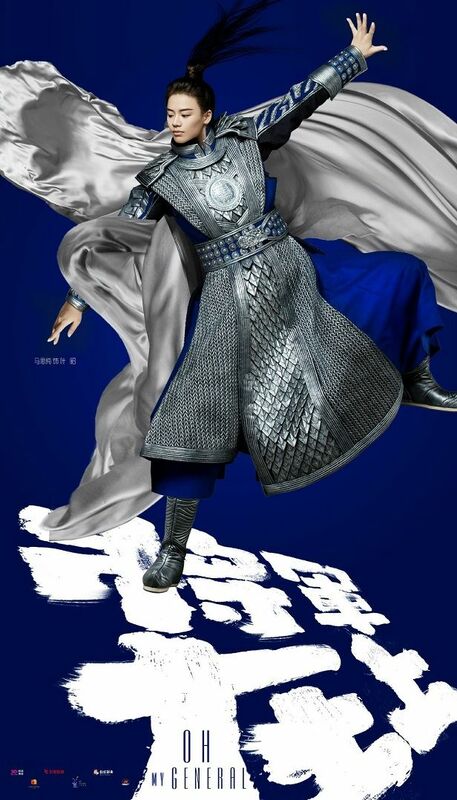 Booting ceremony was held on the 23rd and a new poster came out as well. He shaved his head too! 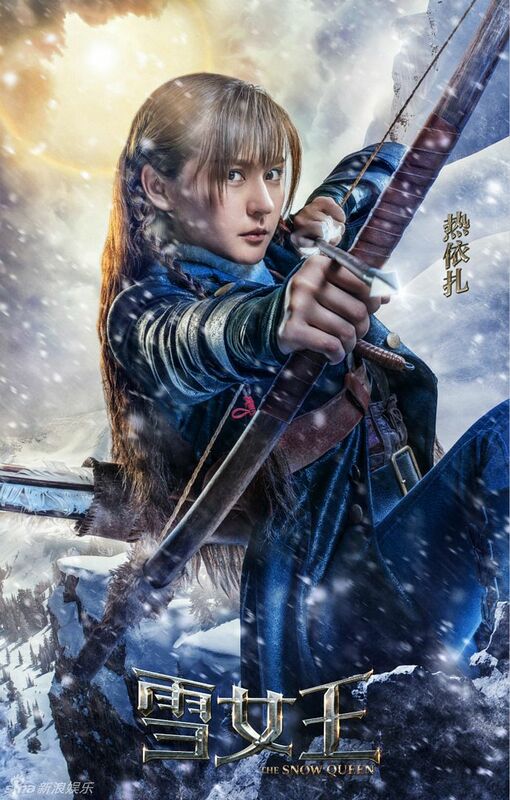 =======> ♦ Fantasy War Series The Snow Queen (雪女王) with Re Yi Zha, Kimi Qiao, and Dylan Kuo drops new posters. It follows the journey of a young girl forced to grow up overnight due to the brutality of war and hate. DYLANNNNNNNNNNNNNNNNNNNNNNNNN!!! 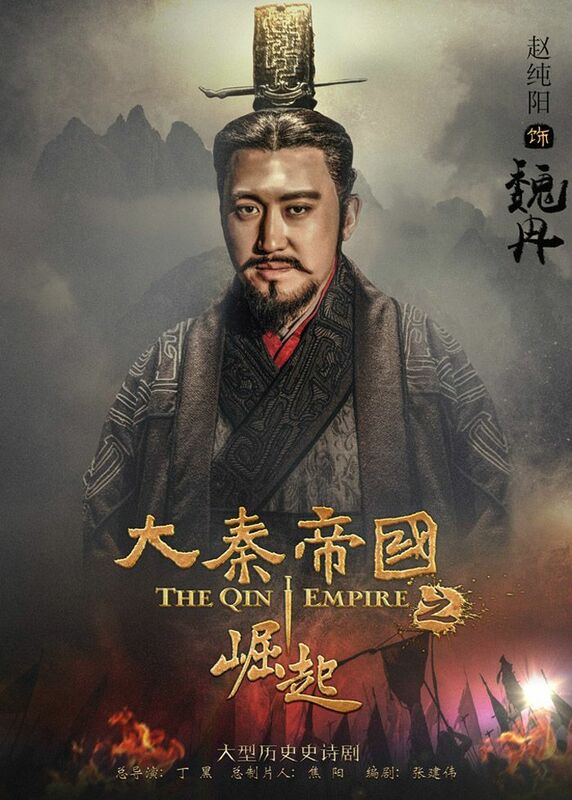 =======> ♦ Peter Sheng Yi Lun to take the lead role alongside Sandra Ma in Oh My General (将军在上). Previous reports had Ma Ke in the same role. He’s out now. Press conference was held today with the leads. Look at Sandra handling Peter below. Heh. 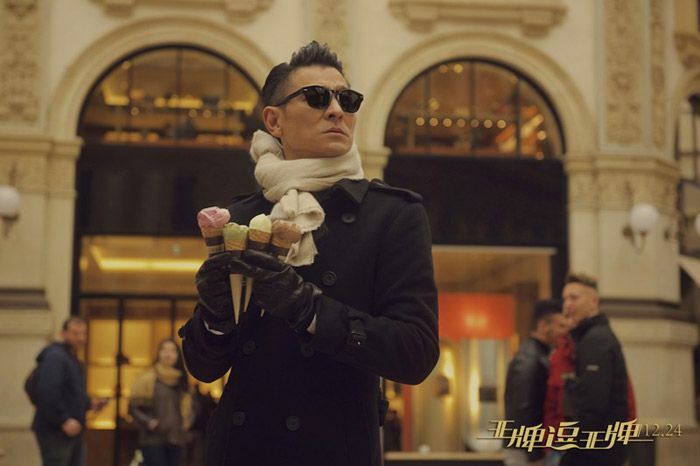 =======> ♦ Ruco Chan will unite with Nancy Wu for a new tvb drama, The Alliance (同盟) from the same producer of A Fist Within Four Walls, Jazz Boon. 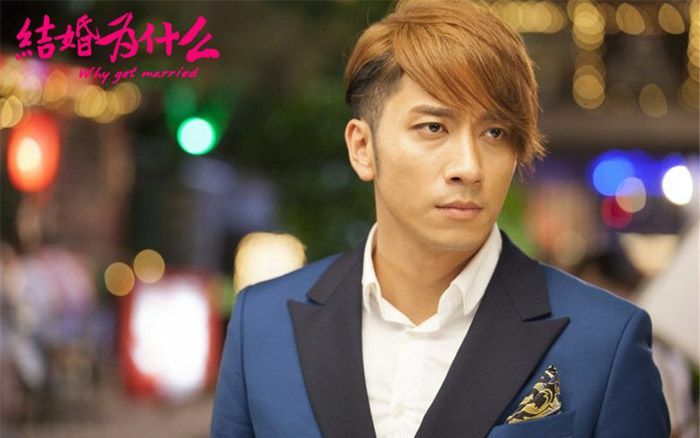 He will also reunite with Paw Hee Ching. They have acted as mother and son a long time ago in a modern ATV drama that I loved. AWWWWWW HECK TO THE YEA!! 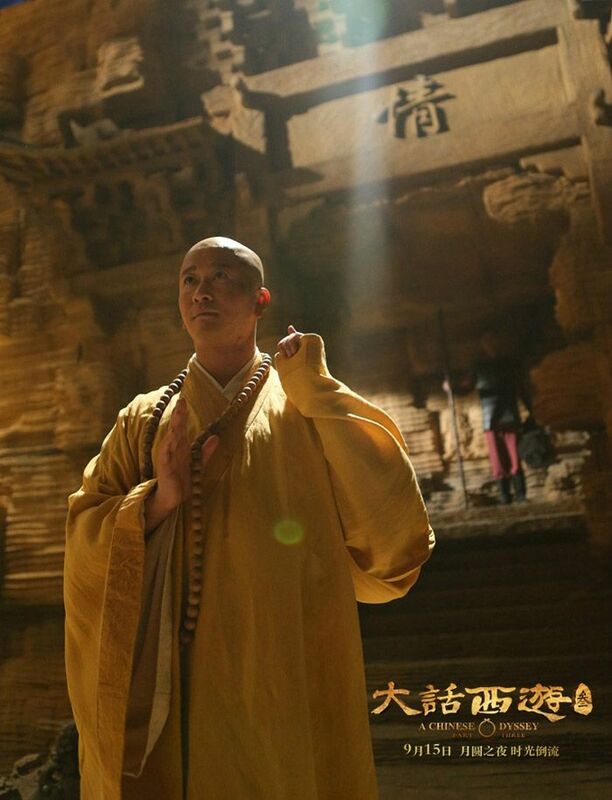 It’s being called the modern version of Wu Ze Tian. Interesting. 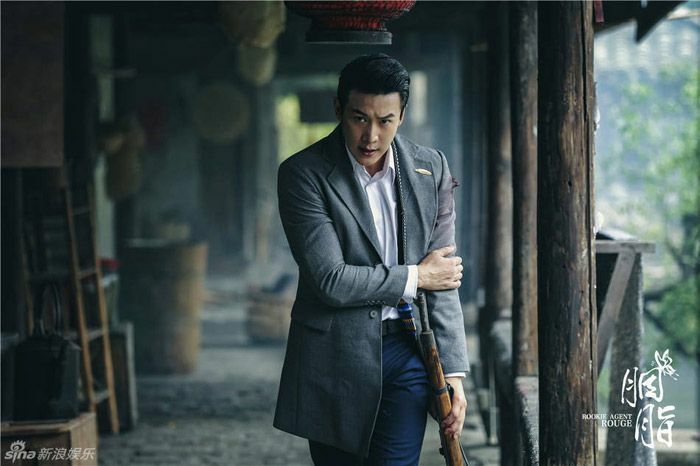 =======> ♦ Tong Hua’s The Starry Night, The Starry Sea completed its modern scenes and will begin shooting its ancient scenes in November. 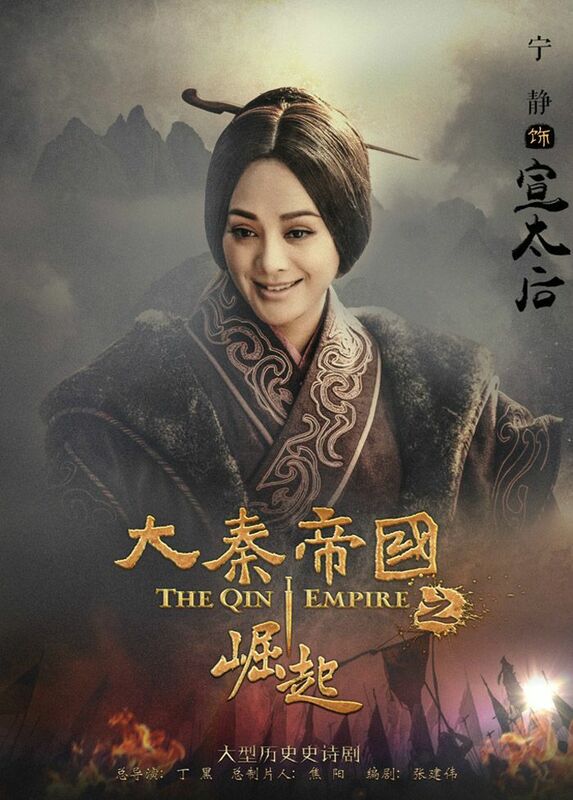 Male lead and producer is William Feng Shao Feng, and his leading lady is Hayden Kuo. 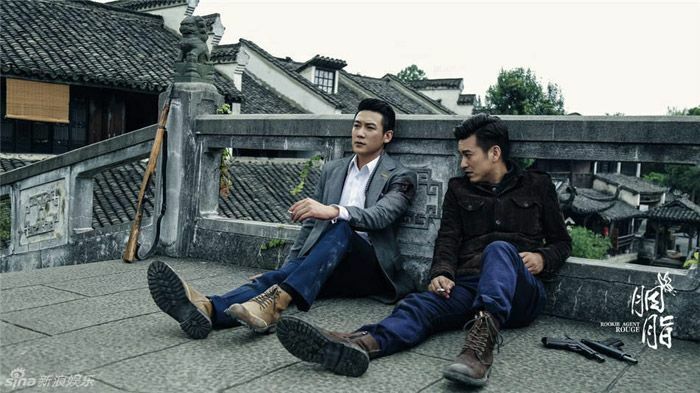 =======> ♦ Huayi Brothers has a new movie in the works, Circle of Death (死亡循环). They are planning to invite many top stars. The author of the novel will be in charge of the movie scripts. =======> ♦ The third series in the sparkling jewelry franchise, following Diamond Lover and Jade Lovers, is Return the World to You (归还世界给你). 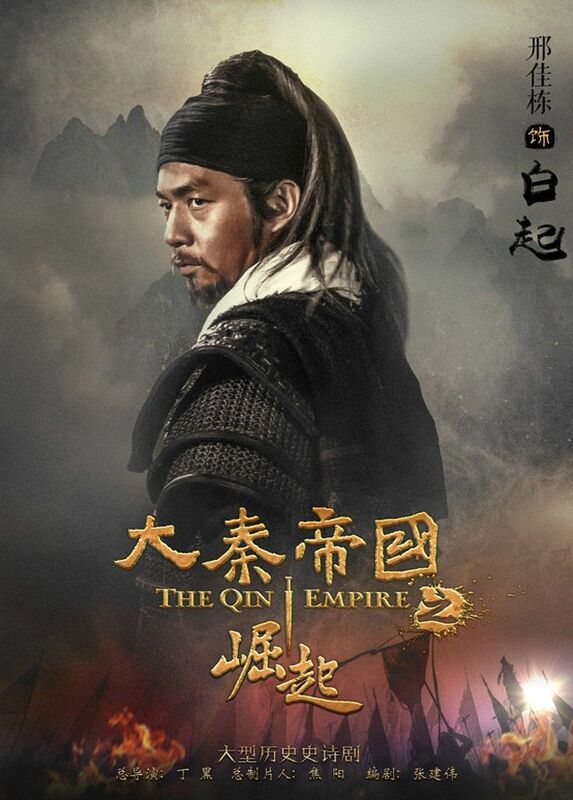 The other cast member is Joe Xu Hai Qiao. Interesting. I like him. A lot. 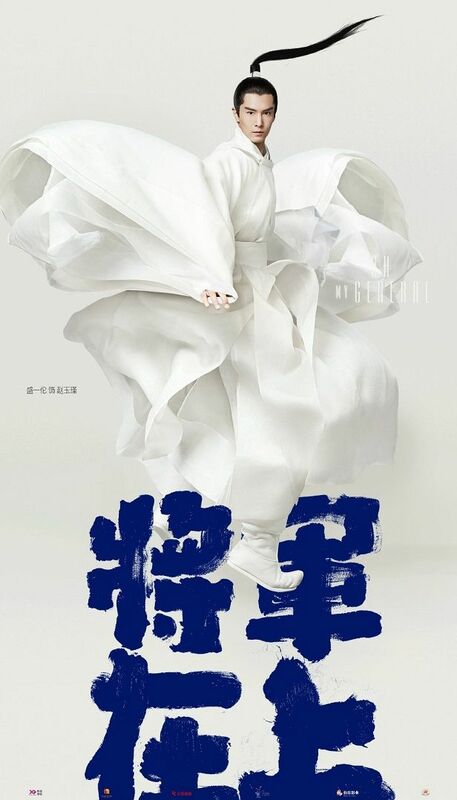 =======> ♦ Maggie Jiang and Ryan Zhang Kai are up as leads for upcoming modern drama, Guo Min Da Sheng Huo (国民大生活). Our OTP meet in a foreign country at a funeral. After experiencing an earthquake together, they decide to cherish the fated meeting. Alas, their fated destiny is tested again and again once they return to the norm of their lives. 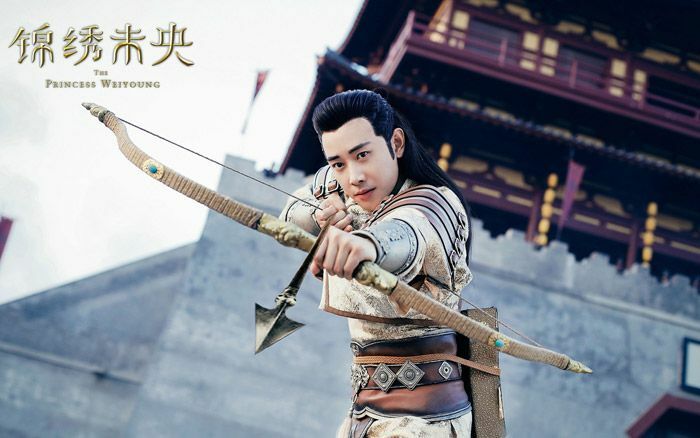 =======> ♦ Zhou Dong Yu has a few rumored projects in the making but the one that seems most likely is with Zhang Yi San called Chun Feng Shi Li Bu Ru Ni (春风十里不如你). 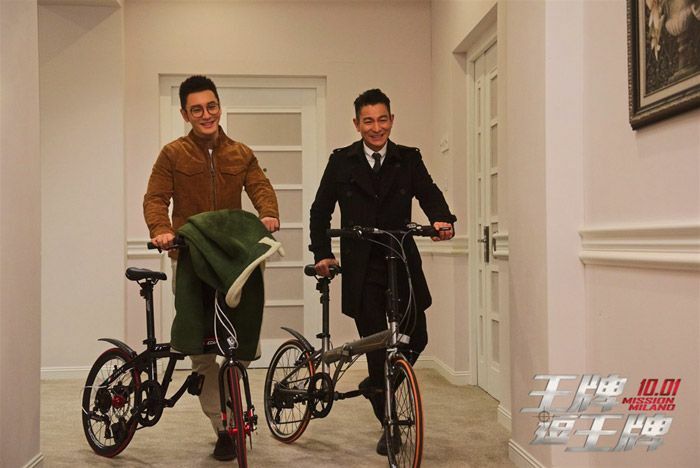 =======> ♦ Zhang Yi San and Cai Wen Jing (The Interns) are also names attached to the Chinese Remake of Kdrama Kill Me Heal Me. Hmm, I can’t imagine these two together. 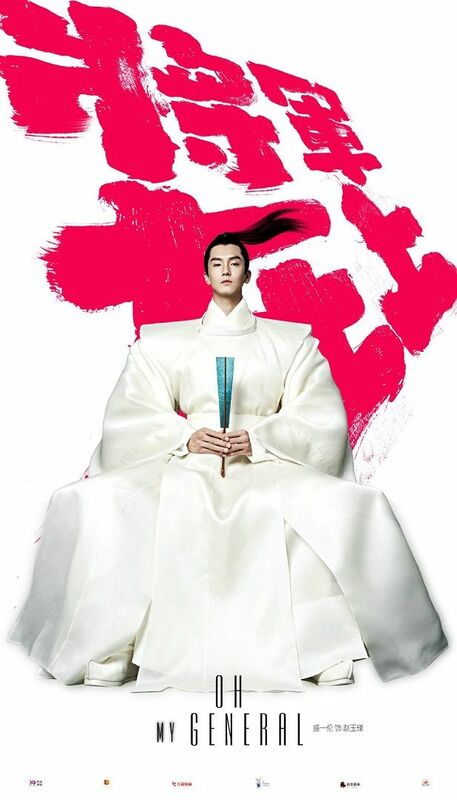 =======> ♦ Chen Xiao and Ying Er‘s modern drama, Shu Ke De Tao Hua Yun (舒克的桃花运) completed filming on August 20th. 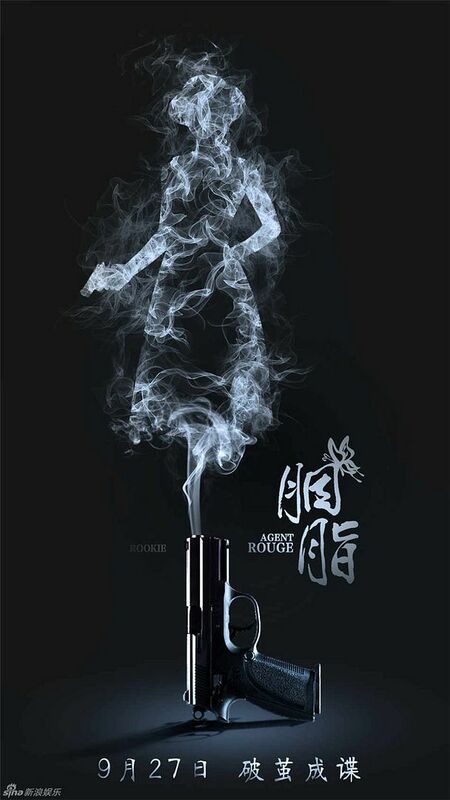 =======> ♦ Rookie Agent Rouge (胭脂) drops new stills and premiere date: September 27th, 2016. 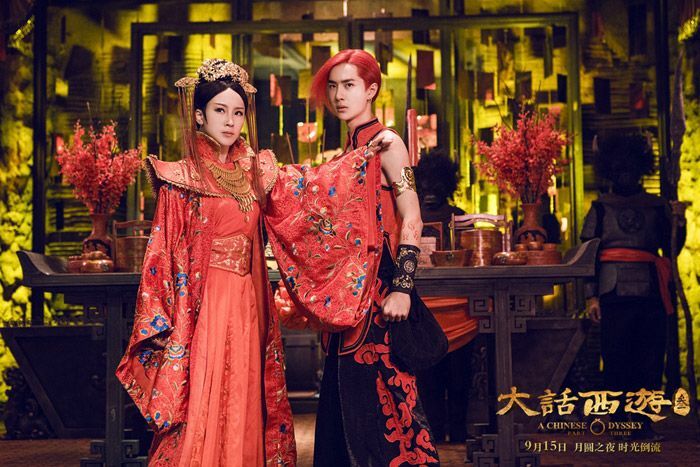 This entry was posted in Entertainment News, Music Videos, Trailers Galore and tagged A Fist Within Four Walls, Ada Choi, Andrew Zheng Yin, Andy Lau, Andy Yang Zi, Athena Chu, Cdrama, Cdramaland Newsbreak, Chen Xiao, Chinese Odyssey Part Three, Chun Feng Shi Li Bu Ru Ni (春风十里不如你), CMovie, Crying Out In Love, Crying Out Love In The Center Of The World, Deng Jia Jia, Dylan Kuo, Edward Zhang Lu Yi, Elvira Cai Wen Jing, Guo Min Da Sheng Huo (国民大生活), Han Geng, Hide and Seek, Hsin Ai Lee, Huang Xiao Ming, Jacky Wu Jing, Jin Han, Joo Won, Kan Qing Zi, Karen Mok, Kill Me Heal Me Chinese Remake, Kimi Qiao Ren Liang, Li Yi Feng, Lin Geng Xin, Liu Shi Shi, Lost Love in Times (Zui Ling Long 醉玲珑), Love Express, Lu Yi, Luo Jin, Mission Milano, Nana Ou-Yang, Nancy Wu, Ning Jing, Novel Adaptations, Oh My General (General Above I Am Below 将军在上), Oho Ou Hao, Our Ten Years, Peter Sheng Yi Lun, Princess Agents – The Legend of Chu Qiao (处特工皇妃), Princess Wei Young (Jin Xiu Wei Yang), Qiao Zhen Yu, Rachel Mao Xiao Tong, Re Yi Zha, Remakes, Ren Zhong, Ron Ng, Rookie Agent Rouge, Ru Yi’s Royal Love In The Palace (如懿传), Ruco Chan, Sandra Ma Si Chun, Shawn Huang, Sparrow, The Mystic Nine (Old Nine Gates), The Qin Empire 3, The Snow Queen, The Unholy Alliance (同盟), Tiffany Tang Yan, Vanness Wu, Wallace Huo, Weibo News, Why Get Married, William Chan, Wong Cho Lam, Wu Ying Jie (Gui Gui), Ying Er, Zanilia Zhao Li Ying, Zhang Hui Wen, Zhang Ruo Yun, Zhang Yi San, Zhou Dong Yu by Kappy. Bookmark the permalink. Everytime I see these post I think…”I hope Kappy has enough sleep”. Thank care of your health Kappy. 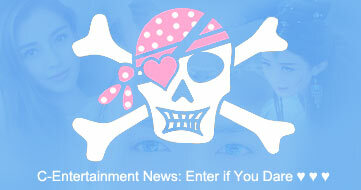 We love to read updates but not at your expense. Awww, thank-you! Just two more weeks before this wretched schedule is over! Lol. Thanks for sharing! Gotta give props to the creator of the video. The song is from TVB’s DGSD 98′ lol I just realized ZLY’s recent roles in ancient/wuxia dramas resulted in unhappy endings. Anyway…I wanna know what’s her next project since Princess should wrap up soon. Music Video creators are so creative and talented. YES! The song tugs at my heartstrings! I’m surprised she’s still so quiet about her next project; usually, we would know by now. 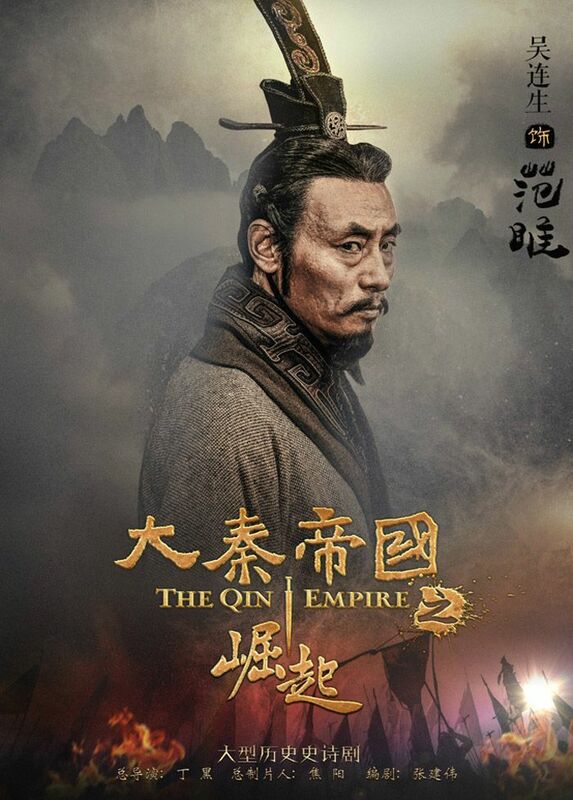 The Qin Empire 3 looks good! 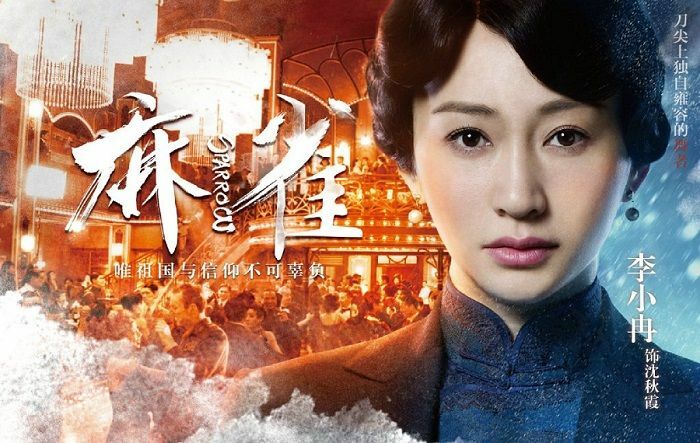 Look at that poster of RuYi!!! Im so excited for it! 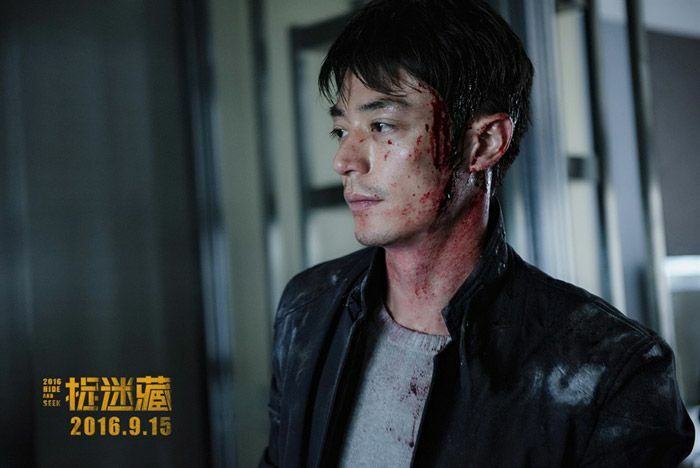 I hope Wallace makes me dislike him in the drama, I really want to know how 渣 he will be! 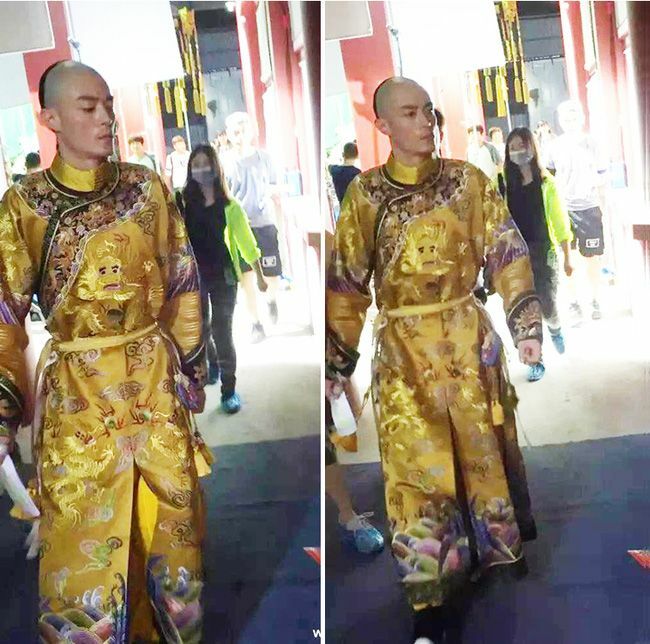 Never read 醉玲珑 but ShiShi in an ancient drama again? Im all for it!!! 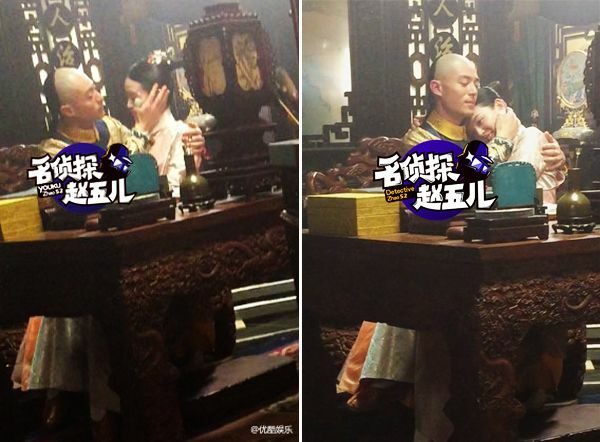 Im having a bit of doubts regarding the chemistry of William and ShiShi, it’s kinda weird imagining them tgt! William and ZLY are just so so so adorable gosh! I have been waiting for so long for their wedding in the drama but they screwed the whole drama up. 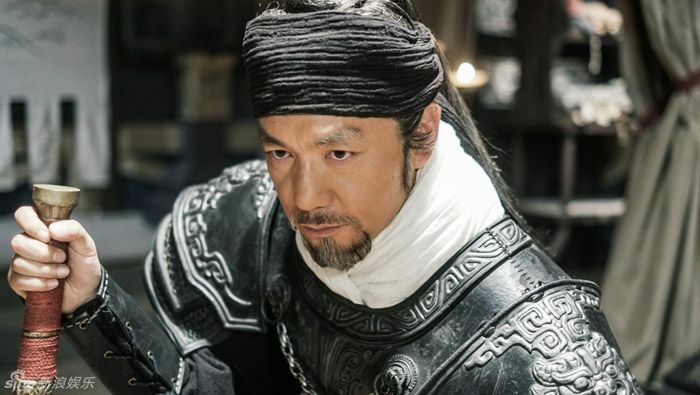 They gave so much air time for the supporting characters and cut all they can for the scenes of the main characters… The cut so much to the point whereby the scenes impt to the plot are gone, look at the one in 张家… they could have cut the supporting characters’ scene which A LOT of it doesn’t add any merit or help the plot AT ALL. The drama is good but it got ruined by all the cutting of scenes. What a waste. That music video… brings back memories in full swing. I always love older tvb openings. Remembered telling my mom to stop skipping the openings so much because her daughter wanted to bust out some fake martial arts moves lol. Kiddiehood is precious. I miss watching Carmen Lee onscreen. For once I recognized the scenes in a mv. ZLY should do more ancient series. 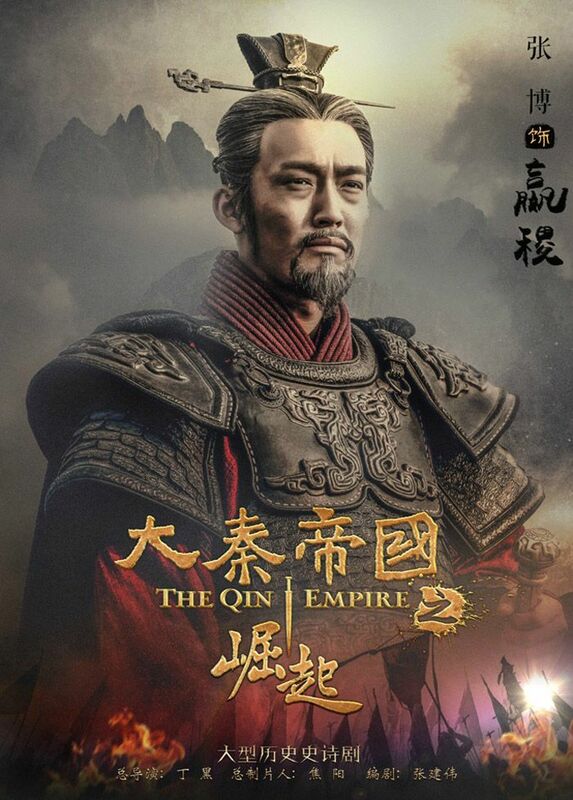 Oh My General looks weird. Is it some war comedy? I doubt you can get much comedy from war though unless the generals and soldiers are reeeaaalllly bad at fighting. 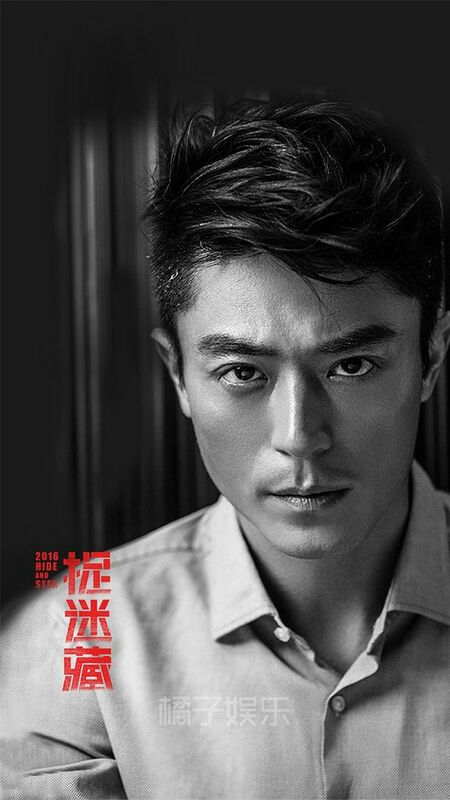 In my opinion, Wallace Huo fits nitty gritty films more so than romantic films. His jawline helps lol. Looking forward to Ru Yi though. Wallace would make a lovely villain with beautiful eyelashes aha. Older tvb themesongs are the best. Still playing in my playlist. Old soul right here! 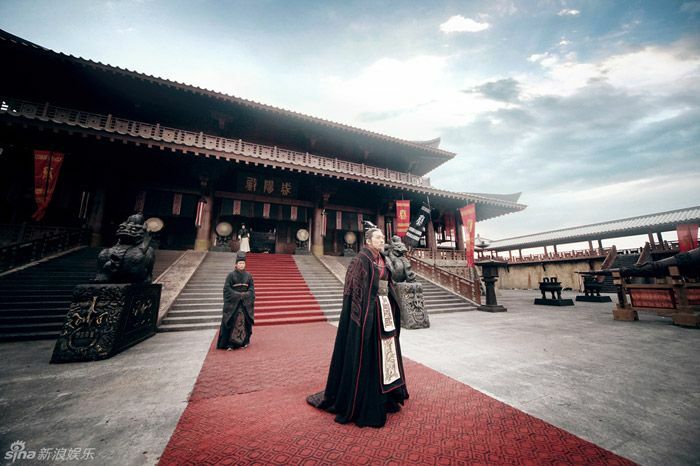 Yes, looks like in Zui Ling Long, the princes meet our heroine outside the palace when they are fighting in wars and have to be in hiding. Imagine if both Father and Daughter cameo in it!! Hilarious! Oh My General is hilarious! I skimmed through parts of the novel and it’s what I’ve been hoping for. 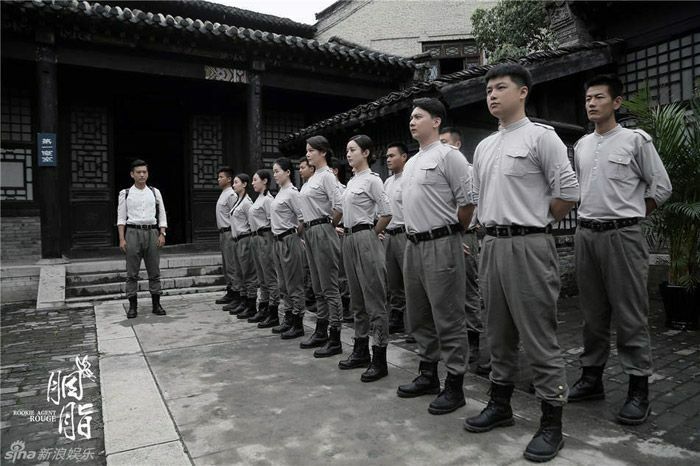 The leading lady is a general who aside from being born a female pretty much conducts herself as a man. She has a manly name too. The leading man is the polar opposite. I hope they keep these attributes in the drama. YAY! I can always count on you for novel updates! I will be checking it out soon too! I read a novel called 将军在上also but not sure if its the same referenced here. In that one, the girl is a princess marrying the general/prince from their enemy country as a truce. She tried to assassinate him on their wedding night but their bodies got swapped. Infact they continuously had to deal with on and off body swaps so it was rather funny. (The other details are hazy). Does anyone know who is the author? 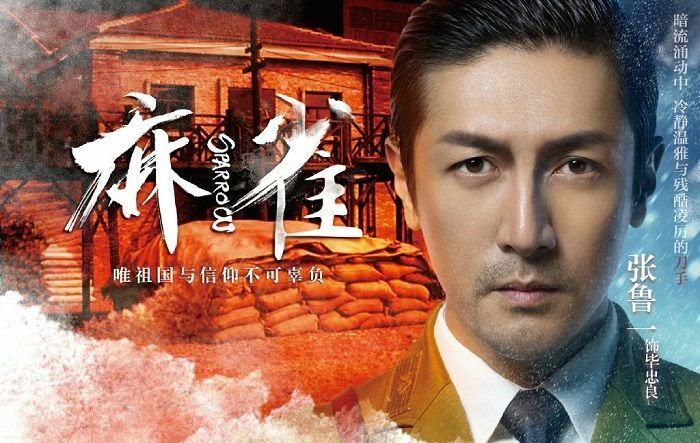 This one being adapted into a drama is 將軍在上我在下 but they shortened it to just 將軍在上. The author is 橘花散裡. 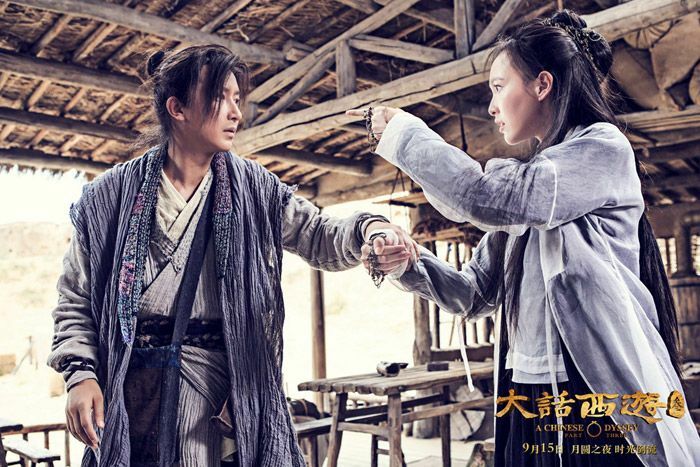 William and Liu Shi Shi… Maybe he’ll bring out her naughty side? LOL. They dress Ru Yi so plainly against the pretty gown of Wallace. I’m upset!! That picture of the WHOLE camera crew staring at them is HILARIOUS. OMG. So awkward. Actors have the hardest job!! I think I am the only person excited about Rookie Agent. I hope it is good. I dont like that look on Wallace, he doesnt look as handsome without hair and he looks so skinny. LSS and WC will be an interesting pair, I dont find the story attractive from the summaries so far but I will probably give it a try. LSS looks better in historical settings. It would be funny if Nicky does a cameo. I dont think ZLY would do a cameo since they are probably trying to get rid of the rumor of them being a couple. A cameo would just add fire to it. 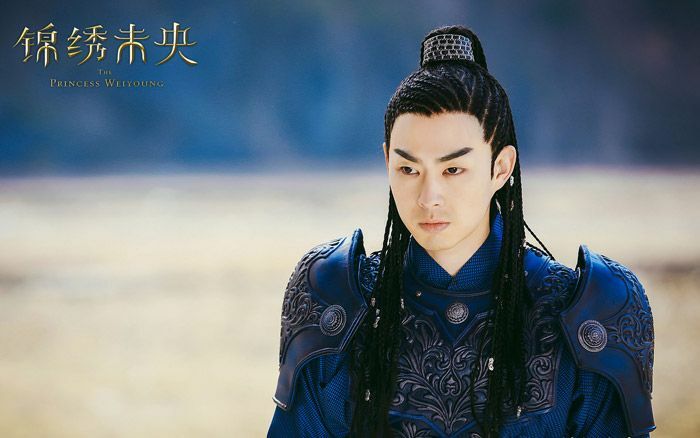 I want ZLY to do a modern drama next, but I would also take a good palace drama. I hope she gets a really good project next. 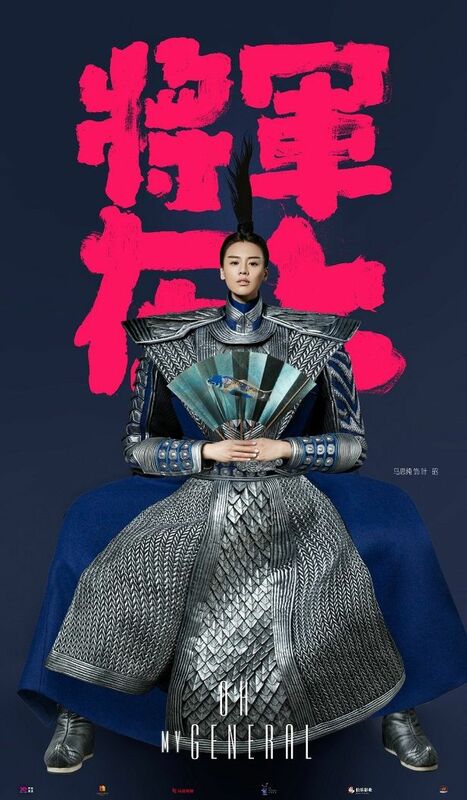 I want her to do a drama with Wang Kai. I’m also looking forward to Agent. 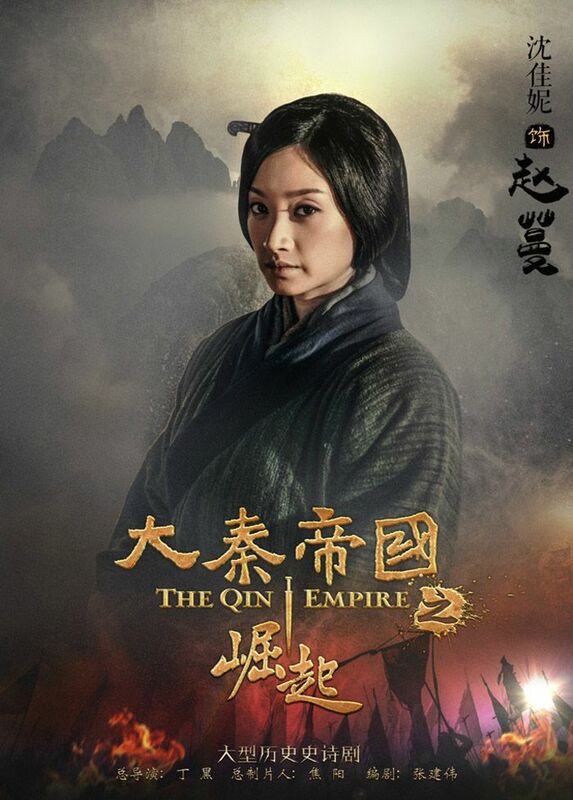 It’ll be interesting to see her pit her acting against Lu Yi. He’s good! 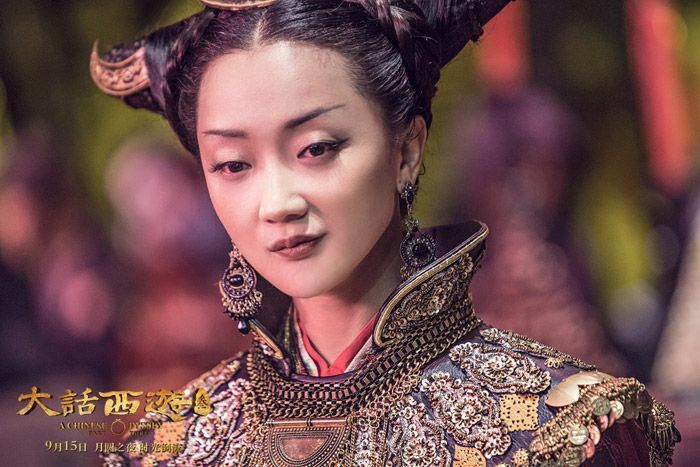 I saw ZLY and LuYi in The Palace, she played a complete different character from her usual so I enjoyed that. They were in YZG for a brief moment! 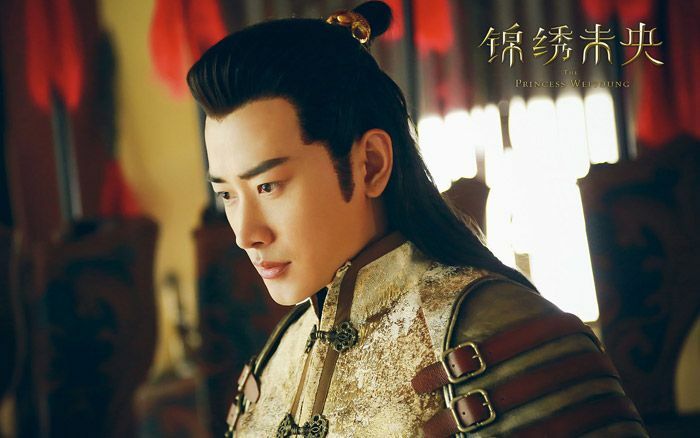 I would like Hu Ge also, but also the young boys in Ma Tian Yu, Mao Zi Jun, Qi Ji, and etc. As long as the couples are new and refreshing, I’m okay! 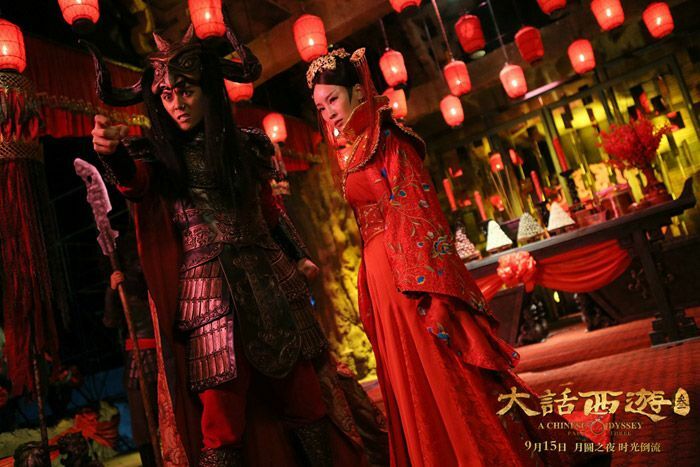 I have only seen Qi Ji on that drama with ZLY, they had good chemistry. I think I haven’t seen the other ones. But if we think about it, her only actual drama as a main character all year will be Rookie. 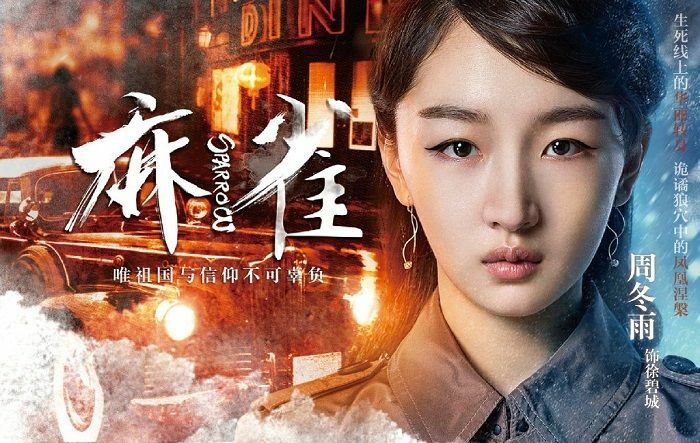 Overall, she has very few scenes in The Mystic Nine and Chusen. 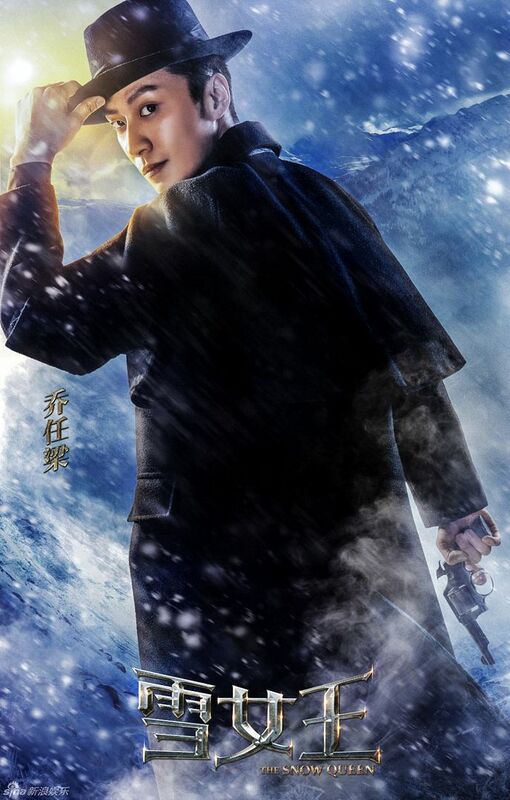 I was wondering if anyone knows how well mystic nine is doing in china? 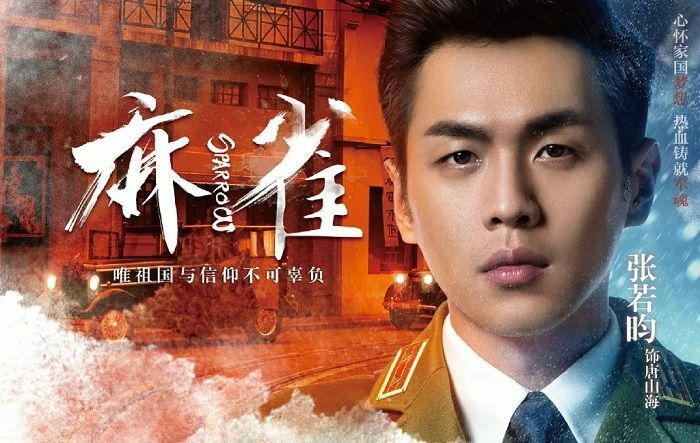 I really liked the drama but are the ratings high? It is doing really good. 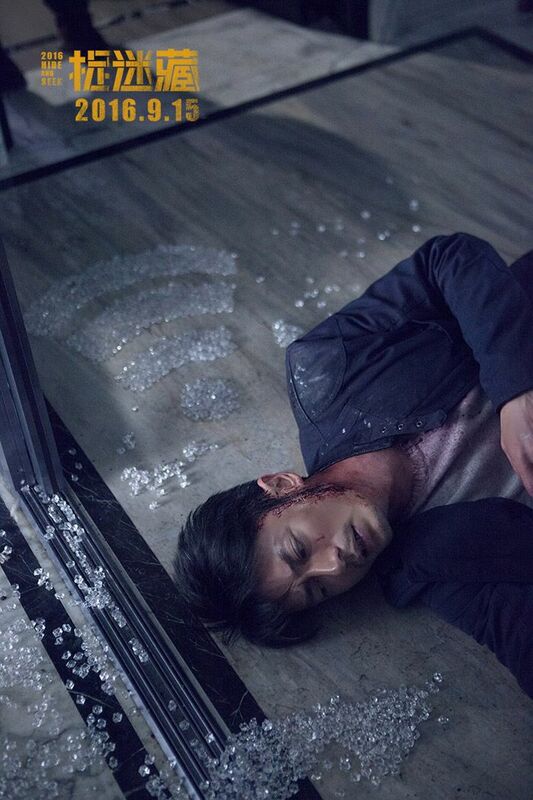 It airs online ahead of TV so it is not killing the TV ratings but it always gets above 1%, which is good. 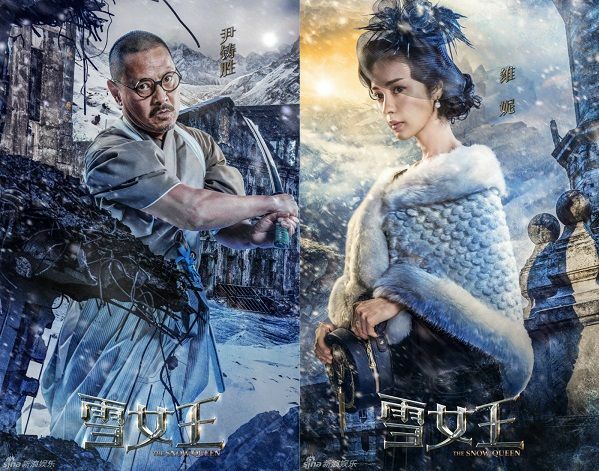 It is going up against Ice Fantasy on their timeslot and getting better ratings. 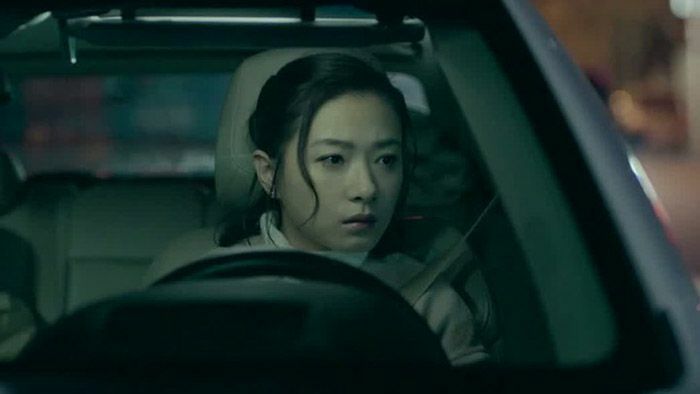 Online views are already past 7 billion, the most out of any summer drama so far. Plus it gets a lot of buzz. 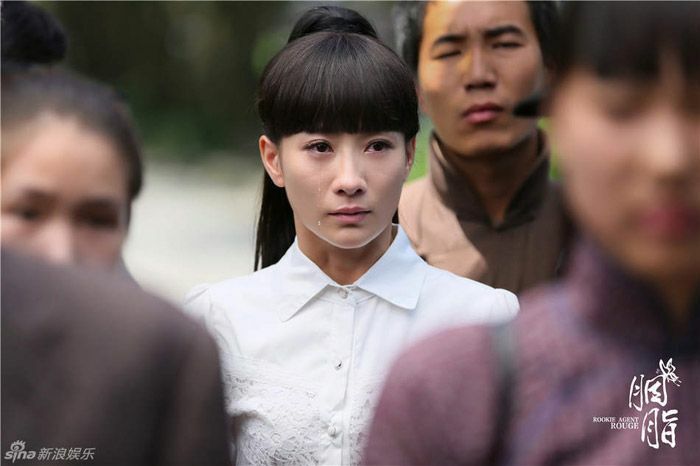 Remembering Lichuan has 10.6 billion views over @ LeTV. 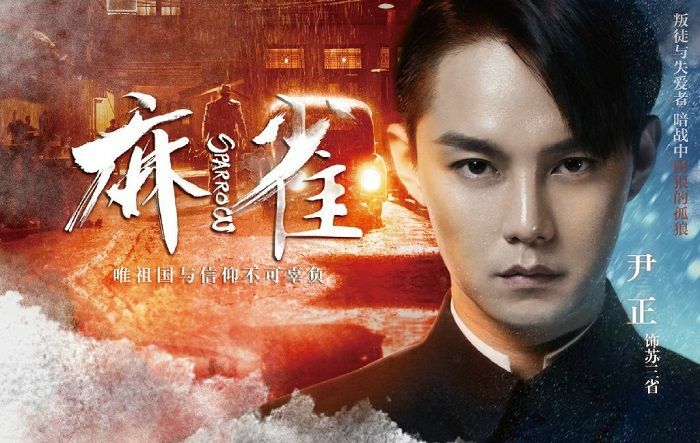 So I reckon Mystic Nine should have more views than that. 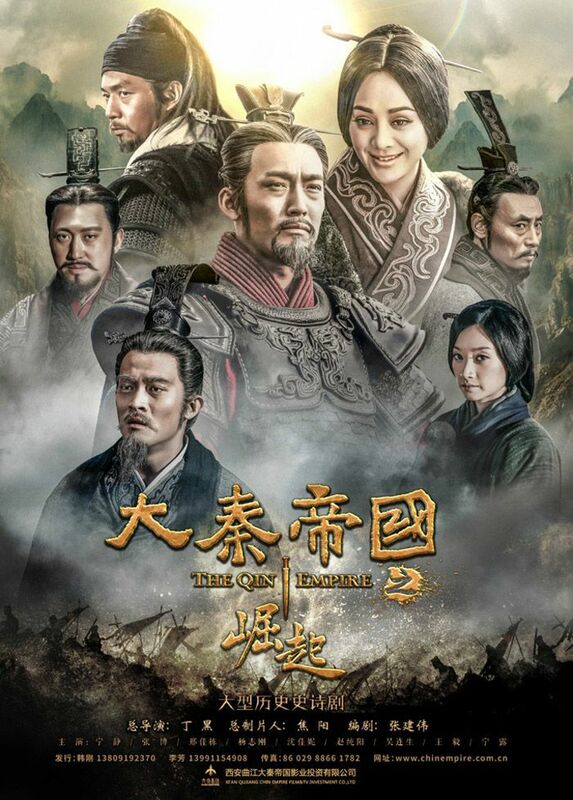 It is a bit over 7 billion views on iQIYI as of now and it is the highest views of any drama airing right now. It will end up higher when the drama finishes airing, but I think 7 billion is a lot. For comparison Ice Fantasy doesnt even have 2 billion on Mango TV. 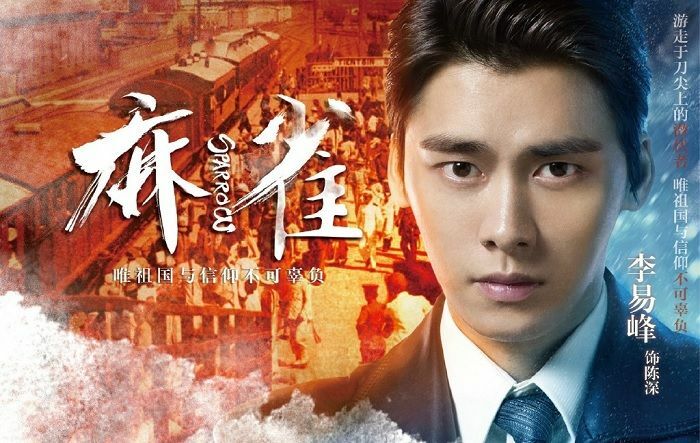 I was curious so I looked up that drama, dont know if I found the same streaming place as you, and it only has 1.06 billion (10.6 亿). Can i ask where i can see the ratings? I really like that song in Days of our own video. Does anyone know when the movie will be released? 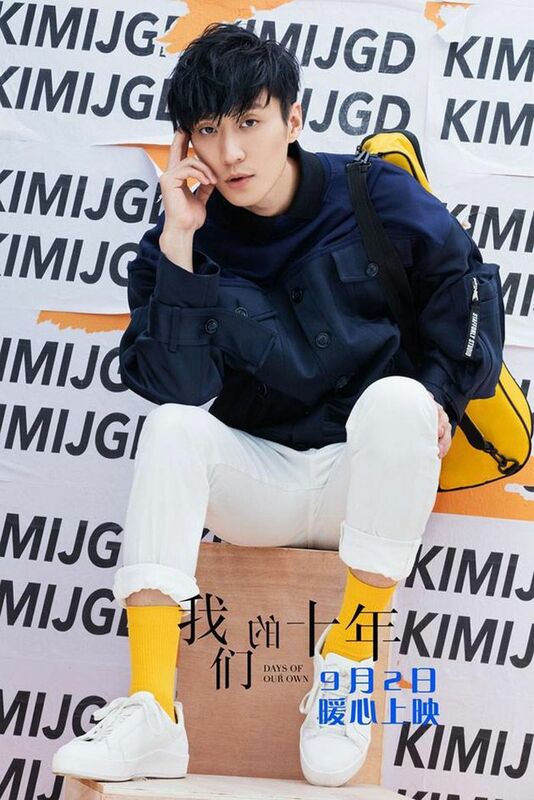 Not surprisingly, ZYL pull off the bob cut really well. 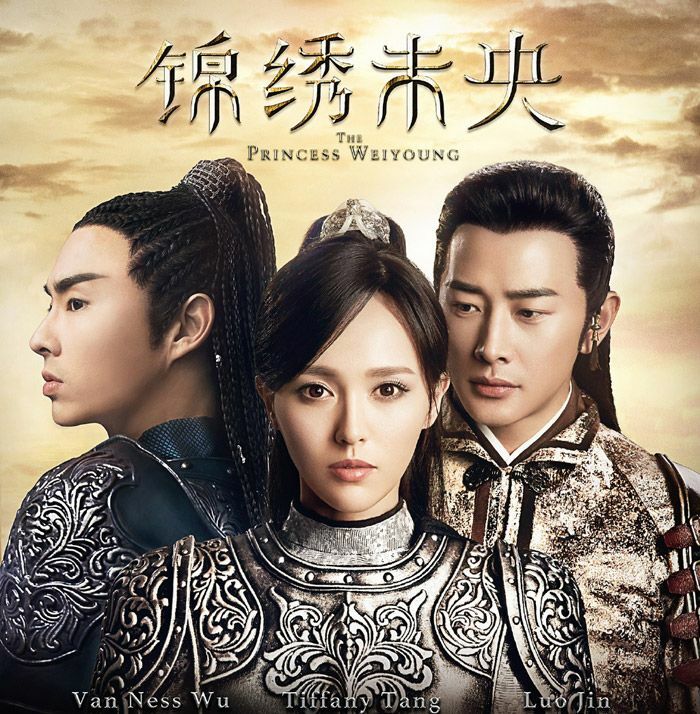 i just find it really weird for them to have LSS play a time-traveling woman again….embroiled with multiple princes AGAIN. 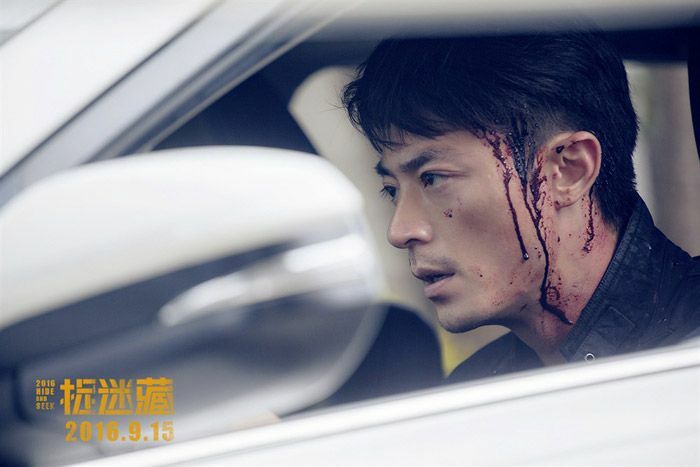 sounds like unnecessary rehash of the same face…..
dylan kuo’s drama! I miss him!! with kimi too? and the girl is a warrior?!! awesome. 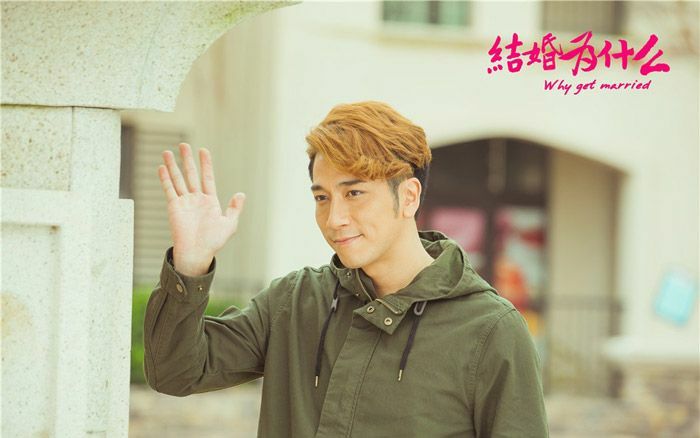 Oh, that song….makes me wanna re-visit all those nice TVB songs!